Riding a motorbike in Vietnam is definitely an amazing experience. But before you jump on a bike, you may be wondering about motorbike driving license when you think of travelling on motorbikes in Vietnam. This post is updated until today. Is it legal to ride motorbike with your home driving license or International Driving License (IDL) in Vietnam? Vietnamese driving licences are mandatory for riders of motorcycles with a capacity of over 50cc. You need A1 license for under 175cc or A2 for over 175cc. - However, fortunately International Driving Permit (IDP) is now valid in Vietnam. But an IDP is only valid as you live in one of the countries abide by the 1968 Convention on Road Traffic on IDPs ==> Congratulations if you have a 1968 IDP, you are riding legally in Vietnam. How to get a local Vietnam motorbike driving license? Currently, it’s impossible to have a Vietnamese motorbike license if you travel on a tourist visa. You need a business visa, a work permit and/or a residence card to convert to a Vietnam driving license ! #1. If you have your national driving licence, however, you only have a tourist visa. Sadly, it’s impossible to convert to a Vietnamese driving license. #2. If you have your national driving license and you will reside, work or study in Vietnam or you registered abroad that enter Vietnam from 3 months and above, with international or national driver license (issued abroad) are also valid for use, if you wish to drive registered abroad in Vietnam, you have to apply for changing correlative Vietnamese driving license. ===>>>You need to have notarizing copies of your passport, visa and home country motorbike driving license (take 1-2 working days once you are in Vietnam). These documents can be done at any notarizing office. Then wait 7-10 days) to have a your Vietnam motorbike driving license issued. #3. You have your national driving license. In addition, you also have a valid international driving permit (IDP) from countries that signed 1968 Convention. Congratulations, there is nothing you need to do. Bring both of these documents and you are legal to ride motorbikes in Vietnam. #4. You do not have any driving licence, you will need to pass both theory and driving tests to operate a motorcycle. Please note though, the theory test is in Vietnamese and on a computer screen with 20 questions and you must pass at least 18 of them. To make it more difficult, sadly you can’t have an interpreter. In other words, you need to be fluent in spoken and written Vietnamese. In reality, there are some companies that offer service of obtaining or converting Vietnamese driving license. They usually require : a Copy of passport, resident card / visa, Original drivers license. However, their prices are very expensive, starting from around 150$US (under 175cc or A1 license) to 350$US (over 175cc or A2 license). If you want minimum risks without worrying about Vietnam motorbike driving license then book a guided-motorbike tours with us. 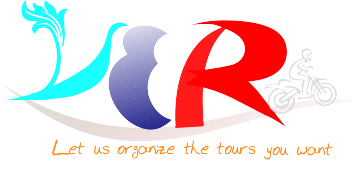 We run tours for all levels of riders without driving license and you can choose from a variety of tailor-made tours lasting from half a day to a month.